Theodoro is a one province minor in Eastern Europe. It lies on the coast of the Black sea and borders Crimea and Genoa. It is the only Gothic culture nation in the game and holds the only Gothic culture province in the game. Theodoro starts out with one minor province (3/3/2) producing wine with the Orthodox religion. It is surrounded by Crimea which is often hostile and Genoa which can sometimes be hostile. Further north are Lithuania and Poland and Muscovy and to the south is Ottomans who poses the biggest threat. To the west is Moldavia, a very likely to be march of Poland and to the east are several countries with various religions and often in a state of war with each other. Theodoro starts out in a tricky location. To the south is Ottomans, who are eager to expand in all directions including yours, and to the north Crimea, who will likely become a march of the Ottomans when their starting ruler dies. To start things off, Muscovy usually starts friendly, so if he is friendly, ally him. This deters the threat of Crimea, and allows for easier expansion. Don't be upset that Muscovy won't ally you, he isn't essential, and you can live without him. If you couldn't ally Muscovy, ally Trebizond. You have a 100% chance to ally him, as he has the modifier 'historical ally'. Next, fabricate on Circassia, and ask for Military Access via Genoa, and prepare for war with your tribal neighbor. Allying Trebizond also allows you to move your army to their province (use your transports) and combine it with theirs to defeat Crimea when they usually attack. If Crimea catches your smaller army in Theodoro it is over for you. Build your army to max size right away, hire a general, and move it to Trebizond. From this point on, Theodoro is mostly about being opportunistic on your surroundings, and striking weak neighbors. Some key idea groups you will want to take are Religious and Defensive, as you're surrounded by hordes with great armies and different religions, and the Deus Vult casus belli will be key to a good Theodoro game. Trying to reform Byzantium as Theodoro is a challenging objective you could aim for. Once you have taken over Crimea and acquired some allies ( Lithuania or Muscovy) wait for the opportunity to attack the Ottomans when they are already at war. Then focus on those Greek provinces, you need them to switch to Greek as your primary culture. 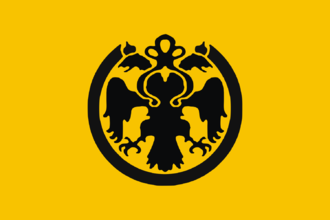 Check out the Byzantium entry for specific province requirements.